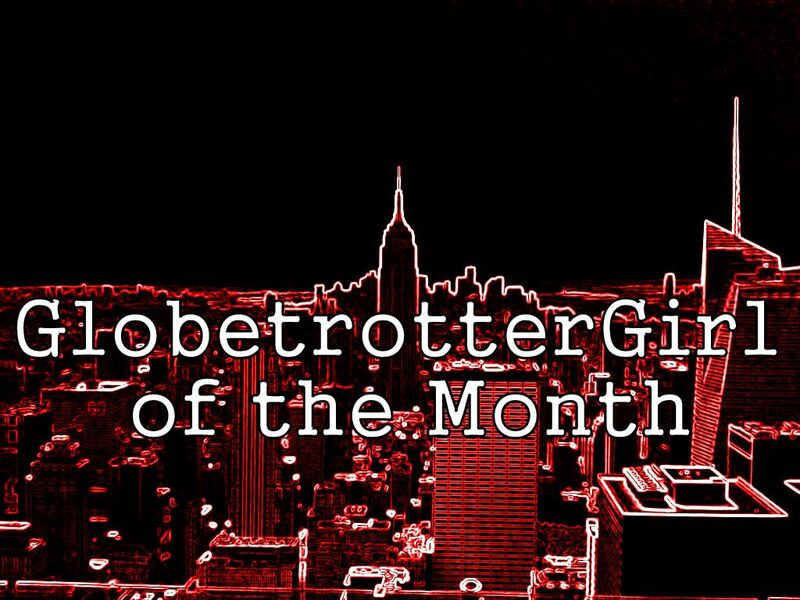 We have a double edition of our GlobetrotterGirl of the Month this August with Andrea and Teri of Travelista TV, an online travel, entertainment and culture television channel. Every GlobetrotterGirl is one who seamlessly incorporates their love of travel into their professional and personal lives. Andrea and Teri do this with what appears to be effortless glamor. Both the epitome of success, these ladies met while pursuing their MBAs, one went on to make a feature film and work with major media outlets, the other worked with Fortune 500 companies before coming together to launch Travelista TV. Today, these two women are Travelistas by day, running a travel series with top shelf travel experiences and destinations, and each run their own businesses as well all while traveling around the world and producing, directing and editing their series which has been syndicated by major media networks. Think you can’t break free to live your dreams, follow your passions and travel the world? Get ready to get inspired by the ladies of Travelista TV, who show you not only that can you do all of that, but you can do it with grace, intellect and look fabulous doing it! Teri: I was born in Houston, Texas and have lived in Spain, Paris, Italy and Tallahassee. Andrea: Born and raised in Orlando, Florida. After getting my MBA from Florida A&M University, I went to live in LA, New York, France, Italy and Spain. Teri: I currently reside in New York City. Do you consider yourselves location independent or jet-setters with a base? Teri: I am definitely a jet-setter with a base. I like having a place to call home, especially a city as culturally diverse as New York City. If I’m ever in need of a new experience or to be around different cultures and hear other languages, I can just journey to another neighborhood to get my fix. Andrea: I’m a jet-setter with a base in Europe. Before I was kind of a nomad, I was in New York, then for a couple of years I was traveling extensively, between New York, Florida, and Italy, with jaunts to Croatia, Sweden, and everywhere in between. I am happy to call Florence home for now. You two are incredibly qualified with loads of experience. What was your journey leading up to founding and running Travelista TV together? Teri: I have a Masters in Business Administration and a minor in French and Spanish from Florida A&M University. While enrolled at FAMU, I also studied French at the Université de Paris-Sorbonne and Italian and Italian wine at Lorenzo di Medici in Florence, Italy. In addition to my academic studies, I was lucky enough to land a producing job for an entertainment tv show called “On the Set” that aired on Sunday nights on ABC in 4 million households. I eventually ended up hosting the show and my passion for television, video and film began. Post college, I studied digital video at the New York Film Academy and the School of Visual Arts in NYC and have produced and directed independent feature films. Andrea: I enrolled at Florida A&M University’s 5-Year MBA program, with an emphasis in International Business. I also continued enriching my foreign language skills in college. I have an MBA and speak fluent Italian and French and was able to land two yearlong employment contracts during my undergraduate and MBA studies in France and Italy. There I had the chance to manage cross-functional teams from Europe to the US, and become the youngest expatriate for a major global brand. I’ve also studied at Florence University of the Arts. I returned to the States, working for Fortune 500 companies in international marketing and sales roles, before launching Travelista TV with Teri. Our theme of 2013 is Break Free, so I have to ask – did either of you get caught up in a career path that you felt the ned to ‘break free’ from? Teri: I always knew that corporate America wasn’t the right fit for me. I knew how to fake it and I succeeded at this, but my heart wasn’t in it. I’ve had a passion to travel since my junior high Spanish class trip to Mexico when I was 12. That experience made me want to see more of the world and I haven’t stopped. My perfect job is exactly what I’m doing – media, production, travel, building a brand and having my freedom. I was able to break free by saving my money, investing in myself and in the business, taking risks and having faith that it would work. Andrea: I have always loved traveling and learning foreign languages. In college, that craving amplified! Even though I was working in corporate America, I had the good fortune of having roles that were based globally, or at least required a great amount of domestic travel; and had a generous vacation package. Traveling while employed allowed us to see the world and launch Travelista TV on a shoestring budget. Once we started receiving paid offers, we were able to leave our jobs. Even though you’re technically based on different continents much of the time, the two of you run Travelista TV together. How did you two meet up and how did you decide to go into business together? We met in college, in Florida A&M University’s business program. We both loved traveling and began to take spring break and summer trips together. Once we entered the working world, we continued to vacation together. I thought, “Wouldn’t it be great to launch something of our own, that encompasses our excursions and passion for culture and languages?” We both share the same fierce desire to see the world, to really experience it and live it. Did you work together immediately on the Travelista project, or did this evolve from a previous effort together? This was our first time working together and Travelista is our baby! It has evolved from a few name changes, “The Jet Set Travel Show”, to “TravelGirls”, to eventually “Travelista TV” and we have invested tirelessly in ourselves, our resources, our training, and craft. Our goal is to produce content that inspires other women to get out of their comfort zone and see the world through various lenses. We are huge fans of Travelista TV and love that your shows cover seriously mouthwatering destinations and activities. The tagline is Jet Setting in Search of the Good Life. Teri, what makes up the ‘ Good Life’ for you? How does travel factor in? Teri: The Good Life for me is being able to live freely, without restrictions on when I can travel and how much I can travel. Being a Travelista has afforded me the freedom and flexibility to travel, earn an income, and to be recognized as a travel personality and expert. The perks that come with this definitely add to what I consider the “Good Life”. Andrea, you are based in Italy and run additional projects that also focus on La Dolce Vita. What would you define that to mean and how does jet setting fit in with that? Andrea: I am really driven to lead the most meaningful life imaginable, through my family and love relationships, with my entrepreneurial projects, and my life adventures. I march to the beat of my own drum, always have. And I am really blessed and fortunate to be able to carve out a life that allows me to intersect the various facets of my personality and lifestyle. Do you each have a special subject or area of the world that you focus on? Teri: We both love culture and to enjoy much of what any destination has to offer, however, I tend to seek out adventure wherever I go. I’m always in search of new experiences, meeting interesting characters, and trying exotic foods. Oh, and I also like to party and I know how to find the best ones around the world. Andrea: As the Cultural Aficionado of Travelista TV, I enjoy meeting cultural tastemakers, designers, artists, and chefs. In the last year or so, I’ve started focusing more on European cities, capitals and hidden gems. It’s fun to cook with Italian chefs…or to attend the running of the bulls festival in Pamplona, or get dressed up in an Austrian dirndl. Sorry, but I have to ask – you both look great! How in the world do you two stay so fit with all that travel and delicious food and wine? Would you be able to share a fitness travel tip? Teri: I competed as a track and field athlete for 10 years growing up and I’ve always loved to be physically active. I’ve taught aerobics, danced salsa for a dance company in NYC, and I tinker around with tennis here and there. When the weather is nice, I ride my bike for exercise and I try to frequent the gym at least twice at week. In regards to food, I try my best to avoid anything processed. Most of what I eat has to be refrigerated (I.e. vegetables, fruits, greens, etc.). I eat mostly fish, chicken, and turkey and I occasionally crave red meat. My weakness is sweet potatoes fries and I eat them knowing full well that I must work a little harder at the gym. I often avoid pasta, white rice, most breads, and packaged snacks. I am a WINE LOVER. I love rosé from Provence in France, Sauvignon blanc from Marlborough in New Zealand and Pinotage from South Africa. I would never skimp on calories here because they are totally worth it. Andrea: A lot of it we would have to attribute to genetics! But I love yoga and I follow a Mediterranean diet, which is not a diet at all, but a way of living. Fresh fish and protein, farm raised cheeses, legumes, olive oil, and vegetables and fruits that are in season. We limit the amount of food that is not 0km. Even though I eat pasta, risotto, and other carbohydrates, they are made with homemade recipes and a passion for healthy cooking, so you don’t gain weight. I love wine and can’t resist having a cold glass of Sicilian, Trentino, or Veneto white wine in the summer, or when the moment calls, a robust Chianti. Running your own online travel show must be exhausting. How many weeks a month or months a year are you actually traveling, on the road? Teri: I travel at least once a month, sometimes for the entire month. I travel internationally at least 5 times a year. Andrea: I travel throughout Italy on a monthly basis and throughout Europe twice a year. I head home (stateside) two-three times a year. One thing I always do is travel to a new international destination once a year. Aside from finding time and energy, what are the biggest challenges of running an online travel television show? Teri: Being the face of the brand as well as managing the production, post production, and other administrative parts of the business. Andrea: We are constantly pitching, reviewing proposals, and following up with tourism boards, sponsors, and media partners. Although travel is our industry and we have become recognized for our content, we still do our own travel research, make our own contacts, and book our own travel arrangements. That is probably the most exhausting part! The Travelista TV brand has been featured and syndicated across mainstream media and the web. Can you talk about who you have been able to work with? Teri: We worked with BET a few years ago, which was our first major network deal. We did a branded entertainment series with them where we incorporated the new Ford Fiesta into our travels. It was a blast! Our production company did all 10 webisodes and as a result, we did a national commercial for Ford. Andrea: We have a wide syndication network, and have worked with BET.com, TV One, Blinkx, Daily Motion, AOL Studio, Huffington Post, and others. What have been your favorite destinations covered on Travelista TV? 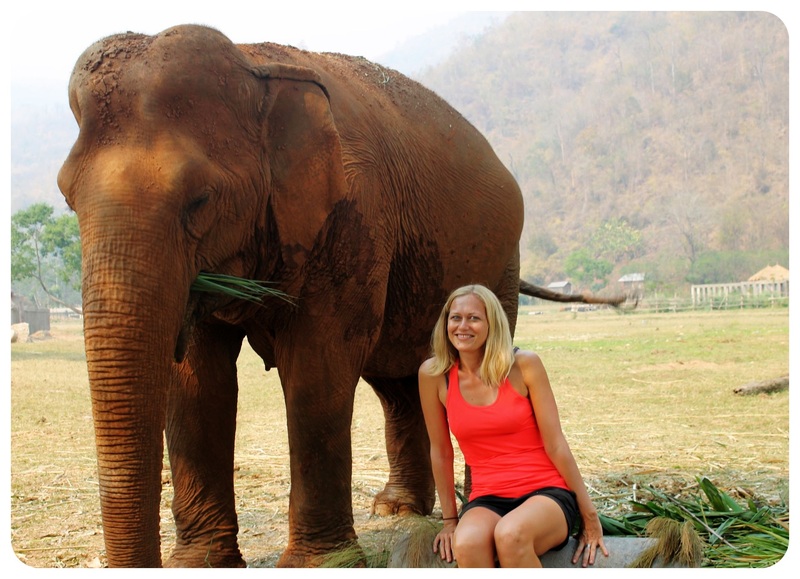 Teri: My favorite Travelista experience was in South Africa. I went all over the country and was blown away by how diverse it is. From the visiting the colorful townships and people in Soweto, to chasing leopards on safari in Kruger National park, to exploring the penguin colony on Boulders Beach right outside of Cape Town, this country really does have everything! Andrea: Turkey was a fantastic trip! We saw all the cultural and religious sights in Istanbul, and also jet-setted on the Bosphorous River. Then we saw the most amazing cave structures in Cappadocia, in a hot air balloon ride (my first ever!). I had a chance to meet chefs, talk to DJs, and spend a great time in Bodrum. Turkey is rich in diversity. I’d like to talk a bit about each of your independent ventures as well. Teri, can you tell us a bit about your full-length feature film, Hey Diddle Diddle? Why did you undertake this project and are you interested in working on another feature in the future? Teri: My experience directing Hey Diddle Diddle was incredible. We shot in NYC and New Jersey. The total number of shoot days was 25 days which we split because the main character needed to gain 50 pounds. I worked with some extremely talented actors and production people and learned a lot about making a film. I’ve co-produced a few films since that one, and I absolutely see myself doing more film projects in the future. Teri, you are also CEO of Dreamtime Media, Inc, can you tell us more about that? Teri: With Dreamtime Media Inc, I’ve produced and directed a bit of everything from medical and educational videos to culture, music and lifestyle videos. Dreamtime Media is also the company that I have for my solo projects for clients including Huffington Post, Ebony, Four Seasons, TripAdvisor, etc. Andrea, in addition to TravelistaTV, you also run Velvet Circle TV. What is it about and how do your passions for fashion and travel collide? Andrea: I’m really excited about where I am in life. From monthly travel jaunts throughout Europe, to being able to interview and meet cultural tastemakers on this side of the globe, to spending time with my friends and family in a way that the European lifestyle is noted for. Not very many people know this, but after business school, I was actually accepted into fashion school in Los Angeles. I didn’t attend, but I absolutely love fashion, design, and art; and with The Velvet Circle, I am able to connect all the dots. I created the first shopping party in Florence, giving a platform to emerging designers and new boutiques. I hope to continue projects like this. Do you have a motto or mantra you follow? Andrea: Island Beneath the Sea by Isabel Allende, and I am guilty of reading most of Philippa Gregory ’s books about the English kingdom. What drama! Teri: If you never try, you’ll never know what you are capable of. Andrea: Don’t live anyone else’s dream. Do you have a mentor? How did you find one? Teri: I have a few. They are all friends who are ambitious, talented and successful. Andrea: My uncle, who is an entrepreneur, corporate titan, and art collector. He has become the country’s largest collector of African-American and African art and collectibles that document the slave trade. The collection has now been developed into an exhibit at EPCOT. What would you recommend for GlobetrotterGirls who are ready to break free to live life on their own terms, but just haven’t taken the leap yet? Teri: Have friends or family who support your decision. When times get hard, you will need a shoulder to lean on and it’s important to know that you have someone in your corner who believes in you. Save your money now and live a modest lifestyle until your venture gets off the ground. Andrea: Try to launch your business while you are still employed. You will work hard, stay up late, and have to really focus full-time on two different projects. But it will give you an opportunity to make some solid contacts, and save up enough money to support yourself when you finally cut the apron strings. How can people connect with you both? Wow I am in complete awe of these AMAZING women!!!!! So inspiring!